Challenging Over-prescription of psychoactive drugs by Professionals in Education for Young People : DAVE TRAXSON - Letter to the Psychologist - May 2011 - this still holds true today. WATCH THE BEST 11 MINUTES ON OUR DIVIDED BRITISH EDUCATION SYSTEM FROM SIR KEN ROBINSON & AN EXCELLENT CLIP ON ADHD - COURTESY OF TEDTALKS ON YOUTUBE. A PSYCHOLOGICAL FORMULATION OF MENTAL DISTRESS - THE HPP MODEL COMMENTARY - (TRAXSON, PARKER, ROWLAND AND MATTHEWS 2011)-------"What we need as professionals is a naturalistic narrative of needs NOT a dysfunctional discussion of dubiously diagnosed disorders." - A menu of alternatives to medication is proposed to trigger creative thinking about the options available to deal with behavioural difficulties. SPANISH TRANSLATION OF THE DECP(BPS) ENDORSED 'REFLECTIVE CHECKLIST' TO BETTER SAFEGUARD CHILDREN- ÉTICAMENTE PRESCRIPCIÓN CONSCIENTES DE PSYCH MEDS para los niños por seguir los principios salvaguardia del DECP LISTA DE CONTROL 2018MEDS FOR CHILDREN BY FOLLOWING THE SAFEGUARDING PRINCIPLES OF THE DECP CHECKLIST 2018. GOVERNMENT NEEDS TO HAVE A NEW YEAR'S RESOLUTION ON SPENDING MORE ON MENTAL HEALTH SERVICES FOR YOUNG PEOPLE. 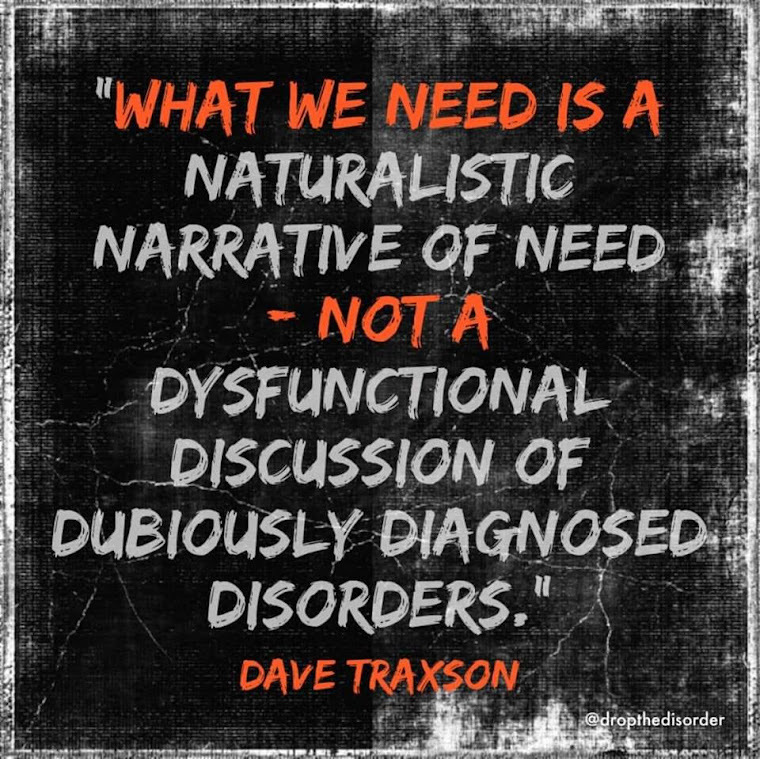 DAVE TRAXSON - Letter to the Psychologist - May 2011 - this still holds true today. PLEASE ADD COMMENTS SO I CAN IMPROVE THE INFORMATION I AM SHARING ON THIS VERY IMPORTANT TOPIC. If a child client was a member of your family or circle of friends would this drug be a wise move?? Psychologists to challenge medication following their Code of Ethics. For more videos on the dangers of pill popping for normal behavioural responses. + CLICK ON LOGO BELOW TO ACCESS EXCITING NEW - DxSummit.org website a new international forum on promoting positive mental health. I am a Chartered Educational Psychologist (BPS),who has seen this questionable practice increase exponentially in my thirty year career.I am a member of the International Response Committee to DSM-5 (Blog: http: dsm5response.com) and the DECP Committee of the BPS. Now is the time to challenge doctors in cases where psychologists have ethical concerns about the Emotional Wellbeing of the children with whom they work.This is supported by the Health Professionals Council "Duties as a Registrant. "(2009) = "You must not do anything or allow someone else to do something that you may have good reason to believe will put the health or safety of a service user in danger." We all therefore : "HAVE A DUTY OF CARE TO BE AWARE" of these issues in the schools where we work. The National Committees of the Association of Educational Psychologists and the Division od Educational and Child Psychology(A Division of the B.P.S.) actively support raising concern about THE IMPACT OF PSYCHOTROPIC DRUGS ON THE SAFEGUARDING OF CHILDREN. LET'S LIMIT DSM5 in the U.K. "When deceit is so universal, telling the truth is revolutionary,"George Orwell. SAFEGUARDING IS THE KEY ISSUE. 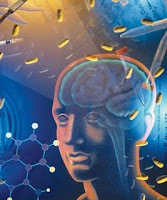 Psychotropic 'pill-head' clones in the class of the future ! ?